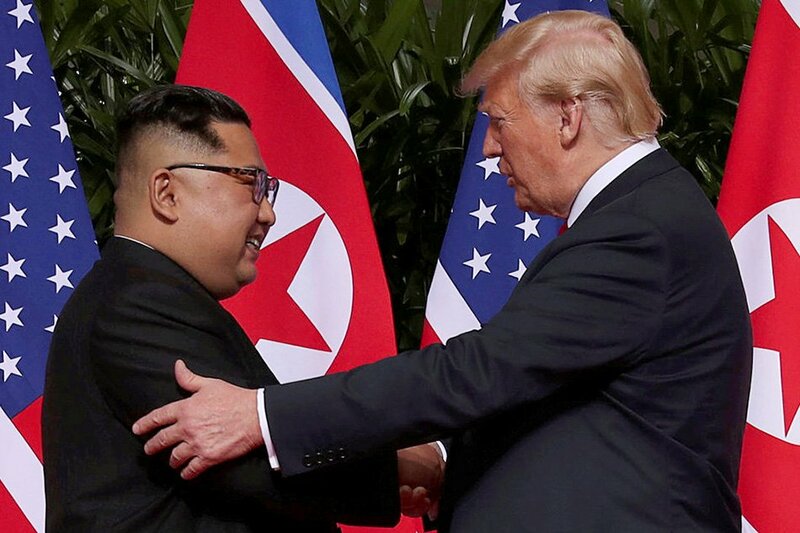 The historic summit meeting between North Korea’s (King of the North) Kim Jong Un and US President Donald Trump (the United States being a daughter of the King of the South ‘South Korea’) was a lot of fanfare for sure. An agreement was signed between a king and a daughter. A king far outranks a daughter. It was a king who walked away with the advantage and the daughter little to nothing. Kim Jong Un, according to Donald Trump, promised complete denuclearization of North Korea and in return, the United States will halt all military exercises, lift economic sanctions, and build a secure and profitable North Korea and a reduction or removal of America troops from that region. Not a bad deal for the king. If what the Prophet Daniel penned from The Most High God applies to North Korea and South Korea, the King of the North will use this agreement to build a more powerful North Korea while the world will believe that this king has good intentions. This is a complicated situation. Kim Jong Un secretly visited China (the world’s second-largest economy and worlds largest army) and China has North Korea’s back and always will and the King of the North knows this. Russia also has North Korea’s back also. The situation is such that non-European nations are weening themselves off of dependency of the United States. The United States is losing influence in the world and China is gaining. In other words, who will the United States if one has allies like China and Russia. North Korea is smart to sign an agreement with the United States if the United States can lift sanctions, pump large amounts of money into the North Korean economy, open doors for outside investors to come in and further uplift North Korea while it secretly builds up and modernizes its military. Get that money! The King of the North – full of power and strength will make an argument before the world stage that it was justified in invading South Korea and that the United States and/or South Korea were the ones who manipulated and reneged on the agreement. North Korea will flex its muscle by most likely testing nuclear warheads that can strike the coastlands. This is what is meant by abolishing the daily sacrifice. The world had believed North Korea had dismantled its nukes. Recall, North Korea had claimed to have abolished its nuclear weapons and programs. In actuality it probably did but secretly restarted it with new money and went underground undetected to build more modern and powerful weapons. Why would it NOT do that? North Korea will have much influence and a voice in the world in those days. Most likely among the Asiatic nations. On the world stage, this king will make a convincing argument that it did not break the agreement first and that it was justified in its actions. The people who know their God are not The Most High God’s people, these are the nations of the world who worship a different God than the people of Korea or China. They are largely who are largely Buddhist, Confucianist, Taoist, and Muslim. That God is mentioned implies the conflicts will be rooted in religion. A war of the gods, if you will. In the next article, I will expand on Daniel’s prophecy as the world will be thrown into deadly war from every corner. I will also show how Daniel’s prophecy has a much greater fulfillment involving two unseen kings.